In U.S. history, anti-federalists were those who opposed the development of a strong federal government and the ratification of the Constitution in 1788, preferring instead for power to remain in the hands of state and local governments. Federalists wanted a stronger national government and the ratification of the Constitution to help properly manage the debt and tensions following the American Revolution. Formed by Alexander Hamilton, the Federalist Party, which existed from 1792 to 1824, was the culmination of American federalism and the first political party in the United States. John Adams, the second president of the United States, was the first and only Federalist president. In U.S. history, anti-federalists were those who opposed the development of a strong federal government and the ratification of the Constitution in 1788, preferring instead for power to remain in the hands of state and local governments. In U.S. history, federalists wanted a stronger national government and the ratification of the Constitution to help properly manage the debt and tensions following the American Revolution. The people who supported this side largely lived in rural areas. These people lived largely in urban areas. Opposed until inclusion of the Bill of Rights. Proposed and supported. Thomas Jefferson, James Monroe, Patrick Henry, Samuel Adams. Alexander Hamilton, George Washington, John Jay, John Adams. Dominated by farmers and smaller rural communities. Local power Dominated by big business interests, wanted government to help regulate the economy. Felt that states were free agents that should manage their own revenue and spend their money as they saw fit. Felt that many individual and different fiscal and monetary policies led to economic struggles and national weakness. Favored central banking and central financial policies. The American Revolution was a costly war and left the colonies in an economic depression. The debt and remaining tensions—perhaps best summarized by a conflict in Massachusetts known as Shays' Rebellion—led some founding political members in the U.S. to desire for more concentrated federal power. The thought was that this concentrated power would allow for standardized fiscal and monetary policy and for more consistent conflict management. However, a more nationalistic identity was the antithesis of some founding political members' ideals for the developing states. A more centralized American power seemed reminiscent of the monarchical power of the English crown that had so recently and controversially been defeated. The potential consequences of centralized fiscal and monetary policy were especially frightening for some, reminding them of burdensome and unfair taxation. Anti-federalists were closely tied to rural landowners and farmers who were conservative and staunchly independent. The most important parts of this debate were decided in the 1700s and 1800s in U.S. history, and the Federalist Party dissolved centuries ago, but the battles between federalist and anti-federalist ideologies continue into the present day in left and right wing American politics. To better understand the history behind this ongoing ideological debate, watch the following video from author John Green's U.S. history Crash Course series. Prior to the Constitution, there was the Articles of Confederation, a 13-articled agreement between the 13 founding states that covered issues of state sovereignty, (theoretical) equal treatment of citizenry, congressional development and delegation, international diplomacy, armed forces, fund raising, supermajority lawmaking, the U.S.-Canadian relationship, and war debt. The Articles of Confederation was a very weak agreement on which to base a nation—so weak, in fact, that the document never once refers to the United States of America as being part of a national government, but rather "a firm league of friendship" between states. This is where the concept of the "United States"—i.e., a group of roughly and ideologically united, individually ruling bodies—comes from in the naming of the country. The Articles of Confederation took years for the 13 states to ratify, with Virginia being the first to do so in 1777 and Maryland being the last in 1781. With the Articles of Confederation, Congress became the only form of federal government, but it was crippled by the fact that it could not fund any of the resolutions it passed. While it could print money, there was no solid regulation of this money, which led to swift and deep depreciation. When Congress agreed to a certain rule, it was primarily up to the states to individually agree to fund it, something they were not required to do. Though Congress asked for millions of dollars in the 1780s, they received less than 1.5 million over the course of three years, from 1781 to 1784. This inefficient and ineffective governance led to economic woes and eventual, if small scale, rebellion. As George Washington's chief of staff, Alexander Hamilton saw firsthand the problems caused by a weak federal government, particularly those which stemmed from a lack of centralized fiscal and monetary policies. With Washington's approval, Hamilton assembled a group of nationalists at the 1786 Annapolis Convention (also known as the "Meeting of Commissioners to Remedy Defects of the Federal Government"). Here, delegates from several states wrote a report on the conditions of the federal government and how it needed to be expanded if it was to survive its domestic turmoil and international threats as a sovereign nation. In 1788, the Constitution replaced the Articles of Confederation, greatly expanding the powers of the federal government. With its current 27 amendments, the U.S. Constitution remains the supreme law of the United States of America, allowing it to define, protect, and tax its citizenry. Its development and relatively quick ratification was perhaps just as much the result of widespread dissatisfaction with a weak federal government as it was support for the constitutional document. Federalists, those who identified with federalism as part of a movement, were the main supporters of the Constitution. They were aided by a federalist sentiment that had gained traction across many factions, uniting political figures. This does not mean there was no heated debate over the Constitution's drafting, however. 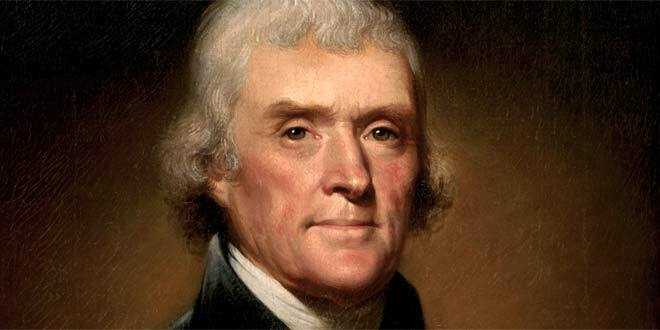 The most zealous anti-federalists, loosely headed by Thomas Jefferson, fought against the Constitution's ratification, particularly those amendments which gave the federal government fiscal and monetary powers. A sort of ideological war raged between the two factions, resulting in the Federalist Papers and the Anti-Federalist Papers, a series of essays written by various figures—some anonymously, some not—for and against the ratification of the U.S. Constitution. Ultimately, anti-federalists greatly influenced the document, pushing for strict checks and balances and certain limited political terms that would keep any one branch of the federal government from holding too much power for too long. The Bill of Rights, the term used for the first 10 amendments of the Constitution, are especially about personal, individual rights and freedoms; these were included partly to satisfy anti-federalists. Among anti-federalists, some of the most prominent figures were Thomas Jefferson and James Monroe. Jefferson was often considered a leader among the anti-federalists. Other prominent anti-federalists included Samuel Adams, Patrick Henry, and Richard Henry Lee. 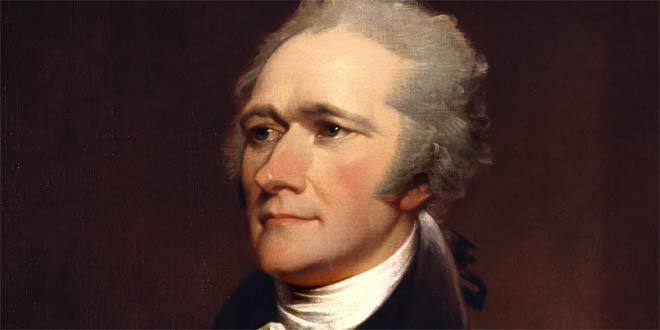 Alexander Hamilton, a former chief of staff to George Washington, was a proponent of a strong federal government and founded the Federalist Party. He helped oversee the development of a national bank and a taxation system. Other prominent federalists of the time included John Jay and John Adams. Other figures, such as James Madison, greatly supported Hamilton's federalist intentions for a constitution and national identity, but disagreed with his fiscal policies and were more likely to side with anti-federalists on matters of money. Without Madison's influence, which included acceptance of anti-federalists' desire for a bill of rights, it is unlikely that the U.S. Constitution would have been ratified.